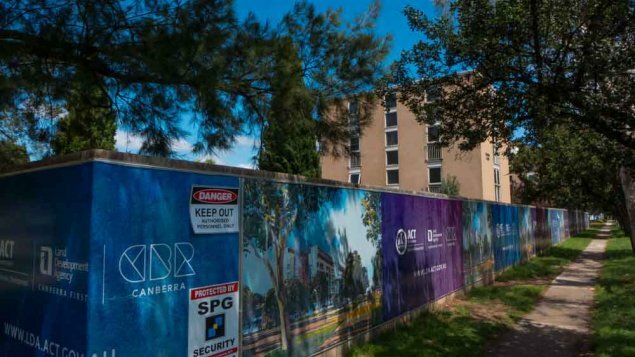 While the government has agreed to leave the 17 listed buildings, it will promptly go ahead with the demolition of other Northbourne buildings identified to be sold and the sites redeveloped. This debate is yet to be over. There will be many conversations about whether saving these 17 buildings is a correct or a foolish ruling. 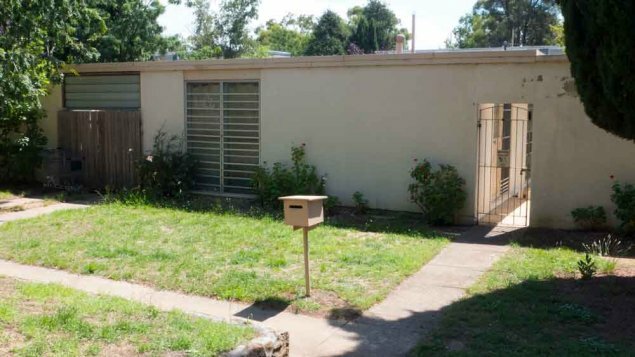 It is a good thing that there is a committee with the powers to protect Canberra’s significant buildings and landscapes. Good because at the moment urban development in Canberra is driven primarily by the need to achieve sales and the subsequent topping up of the ACT Government finances. While gathering this level of finance is fundamental to the city’s survival, the government seems to be willfully blind to what is being sacrificed to meet this quest. Hence while I agree to the Northbourne buildings being demolished, there remain doubts about the motives behind how such development decisions are made and the quality of any subsequent buildings and landscapes. The architect mentioned by the supporters of this site is Sydney Ancher. He was a prominent award-winning Australian modernist Sydney architect from the 1950s-1970s and there are significant buildings elsewhere with his name attached. 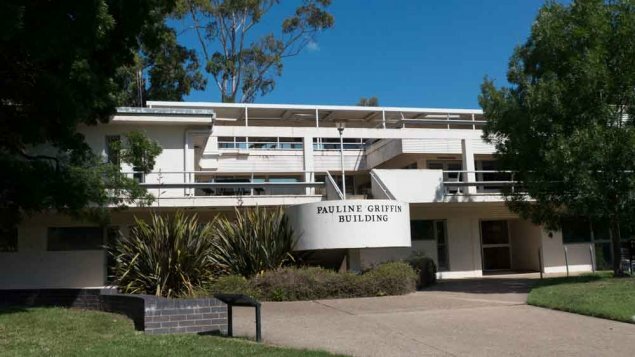 In Canberra the ANU’s Pauline Griffin building (originally the student union) was designed by Sydney Ancher. 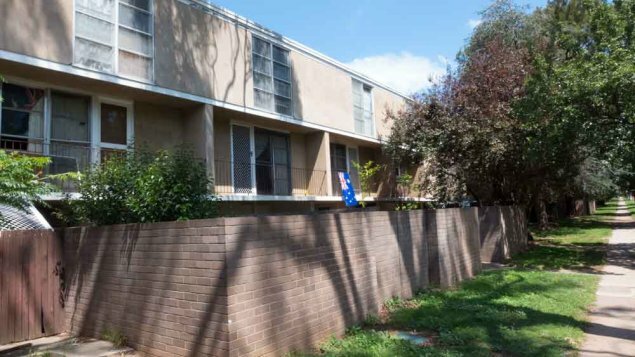 I suggest that it is wishful thinking on the part of the local architectural heritage lobby to classify the Northbourne social housing precinct as having this level of significance. Yes, he designed them and elements of his style are present, but when compared to other works, this is ‘bread and butter’ design. Some of the buildings have incorporated into them various worthwhile features, namely the inner courtyards of the one-storey units. The precinct was an important step by the previous government to provide public housing and while it was a brave step to employ an architect on public housing, the style of the buildings are in the main very ordinary. Unfortunately this not an isolated case as social housing in Australia has rarely been underpinned by high quality architecture — and yes there are a couple of recent exceptions to this. 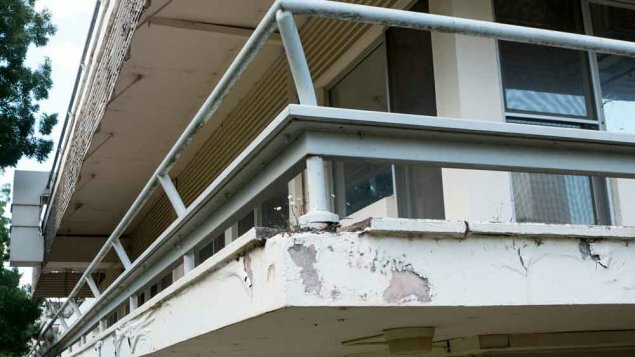 Governments have learnt many times that having a large number of public housing units grouped together has the inherent danger that they become socio-economic ghettos. The common view would be that the Northbourne Flats had very much headed in this direction. Is this to be commemorated as heritage – being a possible failure of social policy? The local heritage and architectural lobbyists are keen to list significant architectural achievements as part of the city’s cultural heritage (and good on them). But while Sydney Ancher was an award-winning architect, these buildings are not award-winning architecture. Sydney Ancher was significant through his architectural work as well as his participation within the architecture association, but that does not mean that everything he designed remains significant and worth the huge financial commitments to be refurbished. Is it more that the heritage committee decision has been swayed by the impulse to ensure that former design leaders from within the architectural association have their name attached to this city’s architectural history? The fight for this young city’s heritage will be never ending and is normally to be encouraged. But in this case, the buildings in question are well and truly passed their use-by-date. The real dilemma is the lack of design leadership for the future of this precinct. Is there any chance that whatever they build could one day be considered for heritage listing — or will it be demolished within about 10-20 years to make way for the next big development priority thingy? So to answer my own question – this is indeed a foolish ruling. A footnote: There is a story to be told about the ANU building referred to above, the Pauline Griffin building. I have walked past this building often over many years and have noted it is in a state of disrepair and decline. Given the usual standard of building maintenance within the ANU, the slow demise of this historic building remains a mystery. Maybe the heritage lobby should be caring more for this one rather than standing guard on the Northbourne Flats. Archi-tales is an occasional series on the broad subject of things architectural. There will be the occasional review of buildings as well as commentary on issues and the people involved – and anything else that comes to attention.